In the world of archery and bowhunting, a spotting scope can be one of your most valuable tools. When elk hunting out west, at least 90% of your hunting will consist of locating the elk you want to target leaving the other 10% to actual stalking, calling and hopefully harvesting the elk. 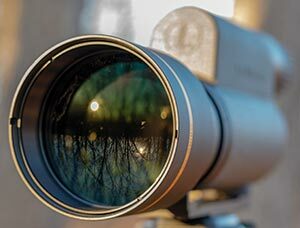 During the “location” phase of your trip, a good quality spotting scope may mean the difference between spotting elusive mountainside elk and missing them. In the world of competitive archery, a high quality spotting scope and tripod will help you to identify shots that are off their mark so you can tweak your equipment more accurately. 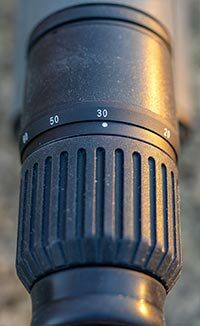 In this review we are going to take a look at one of the best spotting scopes on the market, the Leupold GR (Gold Ring) 20-60x80mm spotting scope. The Leupold GR 20-60x80mm spotting scope is designed, machined and manufactured in the United States and delivers some pretty impressive specs. Let’s have a look. The Leupold GR 20-60x80mm spotting scope is full of great features that will make it the last spotting scope you’ll ever need. Here is a list of the notable features and a description. You won’t have to worry about the elements with the build of this spotting scope. All Gold Ring scopes feature Leupold’s proprietary nitrogen sealing process and watertight build resulting in a top of its class weatherproofing that has become an industry standard. This system brings out brighter and more vivid detail in what your viewing thanks to the optimization of low-light wavelengths. You’ll maintain bright images even in low light conditions. The Gold Ring spotting scope’s magnesium housing makes it lightweight and extremely durable. 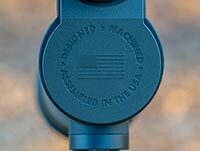 The optional reticle magnifies along with the scope’s main lens so you can estimate ranges accurately. This feature makes it a must have in tactical and long range situations for hunters. The prismless folded light path system results in a spotting scope that is compact and half the size of comparable scopes. The DiamondCoat 2 finish on the exterior lens delivers an ion-assist coating that not only makes it extremely abrasion resistant but also a enhances light transmission for greater viewing in low light conditions. The Leupold GR 20-60 80mm Spotting Scope also comes with a nice and durable case that gives you 100% protection while the spotting scope is in transport and then opens up for full use in seconds. Even with the best warranty/guarantee in the business, its nice that they include such a high quality case. The Leupold GR 20-60x80mm Spotting Scope features a very high grade tripod mounting plate that allows it to mount to any 1/4-20 tripod. The performance of the Leupold GR 20-60x80mm Spotting Scope is at the top of its class. It’s compact build and magnesium build makes it extremely lightweight and packable for your backcountry big game hunts. With a range of 20x – 60x coupled with its wide 80mm objective lens, not only will you be able to zoom in a great distance, but you will excellent light transmission during twilight hours. This is extremely beneficial when you’re trying to catch elk or deer from a distance when they come out into the fields or openings around dusk. The zoom and focus rings are nice and handy right behind the eye piece. Their fluent operation allows you to zoom in and focus very quickly out in the field. Out in freezing temperatures and wearing gloves? No problem; the zoom ring is a dense yet tacky rubber that won’t slip while the focus ring is ribbed for fine tuning. Here is a video of the scope in operation. 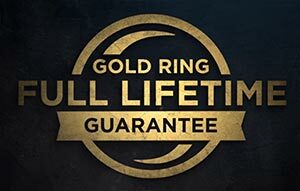 To give you piece of mind with your investment, Leupold backs its Gold Ring lineup with a full lifetime guarantee. If your spotting scope doesn’t perform as it should, Leupold will repair it or replace it whether you’re the original owner or not. So you’re not only getting one of the highest quality optics ever made, but you’ll have it worry free for life. In our opinion, this is the last spotting scope you’ll ever need. For it’s quality and capabilities, it’s very lightweight and compact making it ideal for big game western hunts. The huge lens and proprietary lens treatment gives you outstanding low light performance. The price tag is up there a bit, but you won’t have to ever buy a replacement thanks to Leupold’s no hassle lifetime guarantee. If you’re serious about hunting or want the best spotting scope you can get for tactical or range use, we highly suggest picking up the Leupold GR 20-60x80mm spotting scope. For more information, visit https://www.leupold.com. Phenomenal optic for hunting, tactical, or range use. We highly recommend it.